XchangeRate.io is a platform that powers an ecosystem where traders, market makers, token owners, and exchanges can interact to help liquidity for the token and the exchange. It is the first Augmented Intelligence platform SaaS App that brings intelligently analyzed data to a trader using automation and decentralized strategy sharing. XchangeRate (XRR) is an ERC20 based token. XRR coins are used as payment to subscribe for platform access for traders, and costs of strategy-sharing and adoption among users and traders on the platform. The token is the only currency used to communicate value among the platform participants. All participants hold a certain amount of XRR to use platform features. 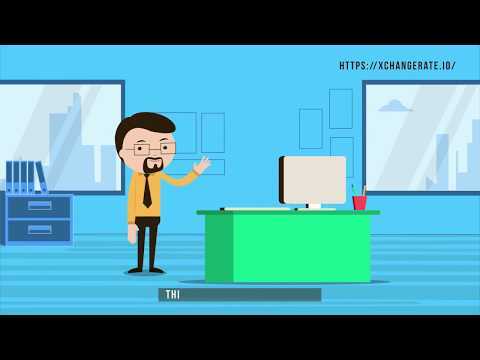 Xchangerate.io started in February 2017 as an idea merely to assist traders monitor coins and other trading activities. Over the course of 13 months, a group of small investors have contributed financial and sweat equity to build and upgrade the product from a mere coin monitoring board to a fully automated software that can both assist traders to buy and sell the best performing coins as well as perform those trades automatically. After a working prototype was built and tested by traders and developers for many months with consistent profits achieved in different market conditions, the core team decided it was time to share the product with the global market. To scale the product and expand it to many other commodities and derivatives, a crowdfunding process has been initiated in the form of an Initial Coin Offering (ICO) where XRR tokens are exchanged for BTC or ETH. Understanding the stakeholders in our ecosystem. Traders function like retailers in a traditional marketplace because they buy for the purpose of making profit. They use our augmented intelligence and auto-trading bots to scalp profits, even in bear markets. At the early stage of a project where adoption is still in its infancy or when a token is newly listed on an exchange, the role of the market maker seems indispensable. The market maker undertakes to buy or sell tokens to anyone that approaches the exchange at all times. This ensures liquidity and maintains the relationship between the token owner and the exchange in good standing. (especially the new ones) require a lot of liquidity as well. Built on the back of the successful second iteration of our coin monitoring board. Our AI trading assistant and autotrader enjoyed much success even during the bearish first half of 2018. The performance of our trading bot can be found on mvp.xchangerate.io XchangeRate presents a solution: an intelligent algorithm or “robot” that helps investors navigate the complex cryptocurrency market and make expert decisions, all in one convenient platform. Data pipelines from plugins and APIs combine with unique, relevant metrics to detect market attitudes. Investors set buy/sell parameters and choose to make manual or automatic trades triggered by if/then conditions. Users are freed from having to make every decision and separately track trends and currencies. Instead, the XchangeRate robot makes intelligent decisions on its users’ behalf, enabling investors to trade popular currencies around the clock based on set criteria and interpretation of good data nalysis proprietary to XRR platform. Based on market demand, we leveraged and expanded some of our algorithms to create a solution that completes our ecosystem and creates profit for all our stakeholders. Our escrow peer to peer exchange service will enable people from across the globe to exchange crypto for fiat or other digital assets more easily than many have been previously used to. It will be quick, friendly to use and very reliable. Exchanges benefit from increased liquidity, Traders make consistent profit, Market Makers earn profit from patronisers, Exchanges pay a once off setup fee, Auto-trader users pay subscription or hodl our XRR tokens, Market Makers pay subscription or hodl our XRR tokens. We create value for both our company and our stakeholders. XchangeRate robot is an interesting concept. I would like to see this project progress. .Link to WP is not working at the moment. It is never good to copy and paste word for word in a white paper from investopedia.com ....your white paper page 14. What else is copied? You can easily take the definition and change it up a bit to still say the same thing but written differently. I do like your advisors, but until your copy paste issue gets resolved I can’t rate you any higher than a 1 on anything. As a side note I do like the projects concept, and am curious why Fibonacci wasn’t included to go with your ema trading strategy? Do you also look at volume? Or ignore volume? I may have overlooked this. CMB Development (Coin Monitoring Board). CMB 1.0 Release. CMB 2.0 Release. Full Automation of XchangeRate Robot with PRR and FR, Full Automation of XchangeRate Robot with SI. Pre-sale (with bonus), Crowd sale (with bonus), Full Automation of XchangeRate Robot with RSI and MACD. XRR token emission on Ethereum Blockchain starts, XRR token to be processed as Utility Token for subscribers. Stage Deployment of XchangeRate Platform for Market Derivatives and Instruments. XchangeRate Platform Universal Edition (Advanced Technical Analysis, Machine learning for Market Derivatives and Instruments).